This cake fits in two categories, square and round. I like the idea of the square being at the bottom. It gives the cake a good base to build on and a few extra servings since it is square. 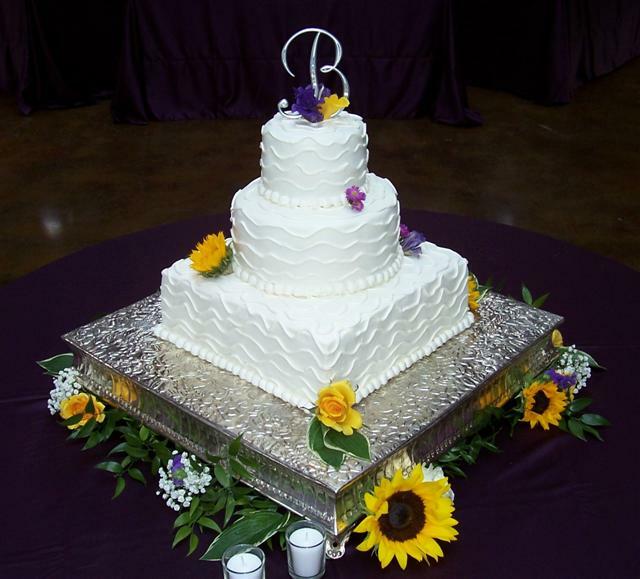 The wave design is a simple one and adds texture to the sides of the cake.